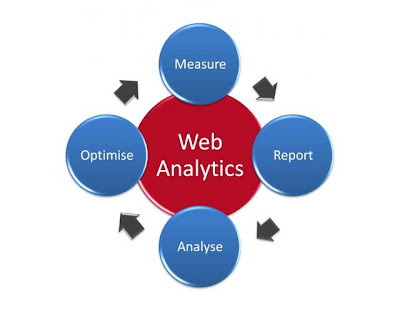 Web analytics is the process of measuring site statistics and analyzing traffic behavior. Here are there of the main benefits of web analytics. It is typical for any business to do some data analysis. Data analysis is used to determine sales, profit, loss rate, and market interest. However, in terms of establishing a strong e-presence for your website, there is one tool that you could used in order to collect necessary data that you would need to promote your site. Web analytics has been gaining steady popularity among websites, blogs and portals. It is used to analyze market trends and to identify website users or visitors. It is also used to determine the behavior of website users. It is a great tool to determine your latest website trends and your visitors’ or users’ preferences in terms of site features. Here are the benefits of web analytics. If you have a Blog or website on Wordpress your action is requires. it would be good to ensure you are using very strong passwords and to make sure your username is not “admin.” According to reports from HostGator and CloudFlare, there is currently a significant attack being launched at WordPress blogs across the Internet. 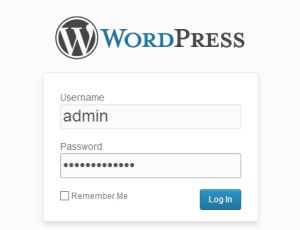 For the most part, this is a brute-force dictionary-based attack that aim to find the password for the ‘admin’ account that every WordPress site sets up by default. Every day we create content online in form of emails, blog post, store files on cloud etc. do we ever think of what happens to this content when we die? Well, some folks at Google thought about it and launch a feature that allows you decide what happens to your account after death; this feature is called Inactive Account Manager. Hello guys, I'll like to share my presentation on Social Media as an Emerging Theme in IS Strategy. The 21st century is characterized with various kinds of challenges that are essentially affecting the ways businesses operate; these challenges are driven by events happening inside and outside of the organizations. Organizations need to study these events and strategize around them in other to remain in business or gain more grounds. Far from diverting employees from their jobs, social media and smartphones actually make staff more productive - and employers should learn to deal with that new reality. Access to social networks via mobile devices gives staff a “virtual co-presence” with direct benefits for the business in which they work, according to a new study. That core presence enables workers to complete collective tasks more effectively by giving them a greater freedom over when and where they do their jobs, the study of technology companies in the UK, Germany and Finland found.